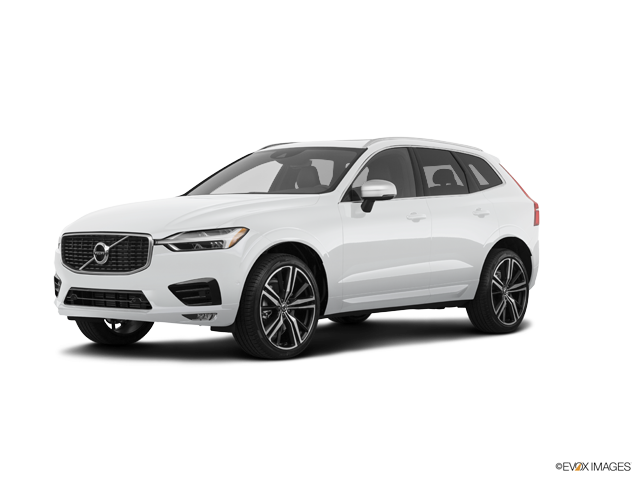 The 2019 Volvo XC60 has big shoes to fill to mirror the 2018 XC60's titles of "2018 World Car of the Year" and "2018 North American Utility Vehicle of the Year™". But with its ultra-luxurious interior, state-of-the-art safety technology, and elegant exterior, keeping up with its award-winning predecessor isn't a problem for the 2019 XC60. Volvo has a reputation for building safe, sturdy, and high-quality vehicles, and the latest XC60 certainly continues that tradition. Highlights of the 2019 XC60 include heated wiper blades, heated seats on the AWD version, and a standard 12V outlet. Along with the standard amenities offered in this year's model, you have a choice of many different packages to give your XC60 a custom look inside and out. Three trim levels are offered in the 2019 XC60. The base model is the Momentum, which is followed by the R-Design and the Inscription. The Momentum attracts attention from the start with Scandinavian design influences, highly visible LED headlights, and a shiny, glossy black grille. A sculpted frame with a power-operated liftgate and spacious trunk are other notable XC60 amenities. Sleek roof rails and 18-inch alloy wheels enhance the XC60's head-turning exterior. Inside, a world-class interior greets you with a substantial (standard) nine-inch touchscreen that doubles as an infotainment center with Apple CarPlay and Android Auto compatibility. You'll also find a leather-wrapped steering wheel, a leather-encased gear shift knob, and ergonomic leather seats. The driver's seat can move in 10 ways for enhanced comfort and convenience. A panoramic sunroof is a great addition for those who enjoy getting some sunshine and fresh air while driving. The interior is expertly planned to maximize space and comfort, which means that occupants have plenty of room and there are ample storage areas located throughout the cabin. Standard safety features in the 2019 Momentum include lane keep assistance, city smart driving technology with front collision avoidance and pedestrian detection, and road sign information detection. With the R-Design, you'll get a larger 12.3-inch touchscreen, 19-inch alloy wheels, and integrated tailpipes for a streamlined look. Sculpted and contoured seats make the R-Design more enjoyable to drive, and intuitive navigation acts as your virtual driving assistant. A sportier chassis with advanced handling makes the R-Design more responsive when cornering. No matter how far you're driving, you will never grow tired of gazing at the beautiful wood trim accents and illumination lighting in the cabin. Moving up to the Inscription, you will upgrade to an exterior accented by chrome grille bars, chrome-accented side windows, and chrome outer grilles. Inside, a special treatment gives the cabin's wooden trim a distinct and upscale look. An all-leather interior with plush, cushioned premium leather seats, leather-covered door panels, and a leather-covered armrest are all designed to keep you comfortable, even on the shortest drives. Along with the standard safety features on the lower trims, the Inscription has the technology to keep you from running off the road. Considered to be one of the safest and most luxurious vehicles in its class, you won't be left wanting anything more in the 2019 XC60. We realize that you're eager to take the latest model for a spin, and therefore we invite you to call or visit our website to learn more about the car and when it will arrive. In the meantime, you can ask our customer-oriented staff any questions you have about the newest XC60, and we'll be glad to provide answers.